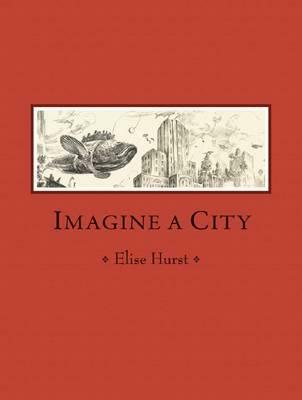 Elise Hurst’s Imagine a City invites readers to a “world without edges,” where anthropomorphic animals and people coexist, the subjects of paintings reach beyond their frames, buses are giant flying fish, and bears ride bicycles. 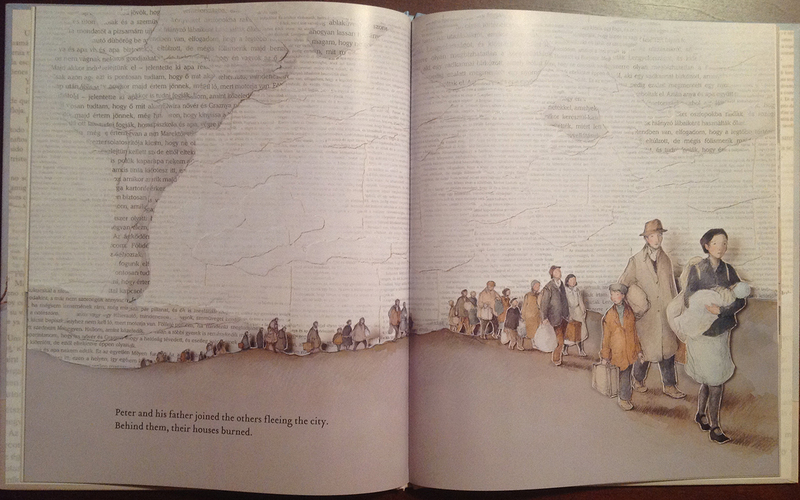 The art makes the book feel that is both very contemporary and classic. 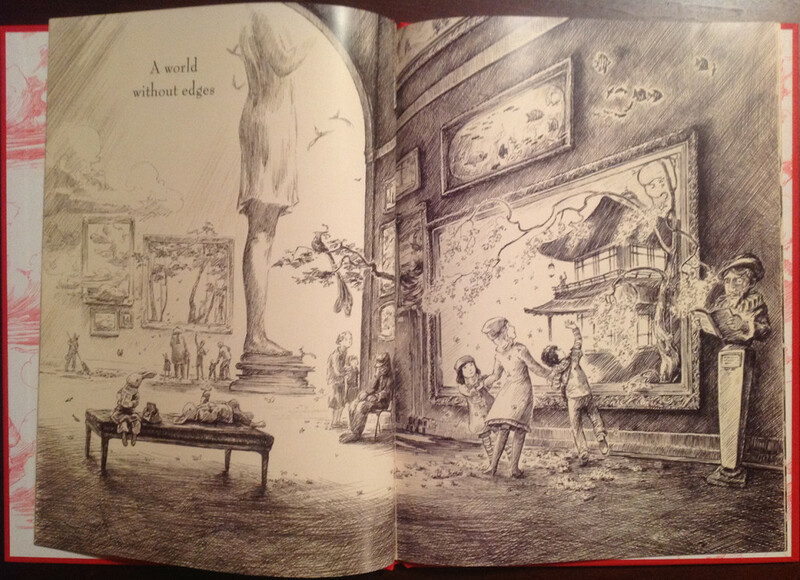 Her pen-and-ink drawings feel like they’ve time-traveled from another era — Edward Ardizzone, E. H. Shepard, or maybe Winsor McCay. 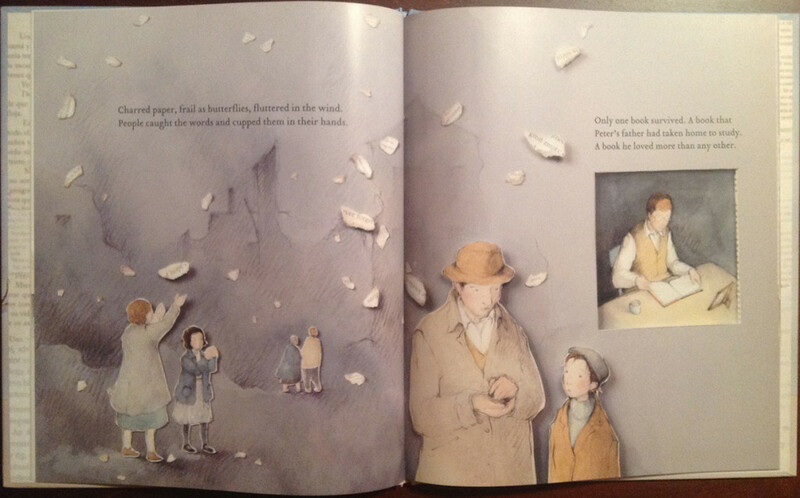 The visual motifs (especially the flying fish) recall Shaun Tan and David Wiesner. 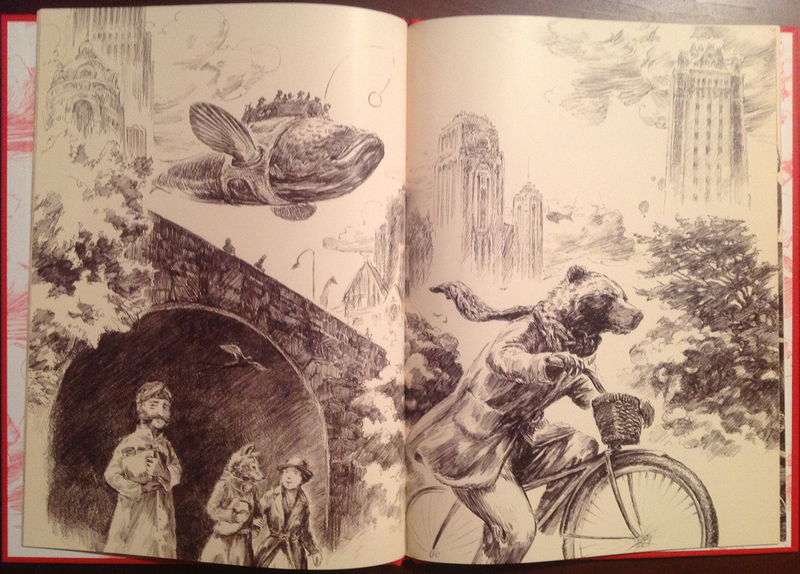 It’s as if she’s brought her sketchbook into a parallel, surreal world, and this book collects sketches of what she saw during her travels. Hurst’s book suggests that books allow us to imagine worlds, and Margaret Wild & Freya Blackwood’s The Treasure Box also finds hope in books. 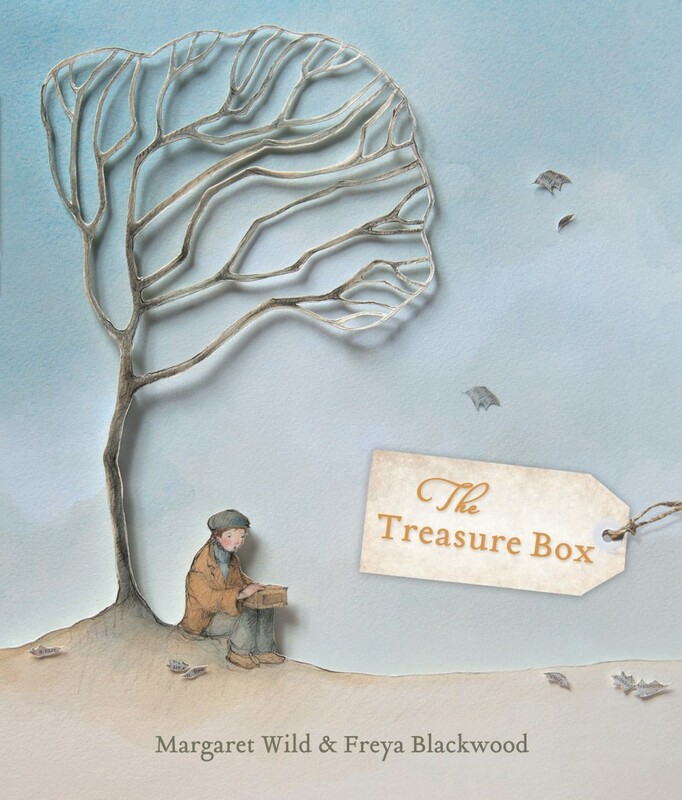 In watercolors, ink, and collage, Blackwood illuminates Wild’s tale of a boy, displaced by war and sustained by the memory of a red book. 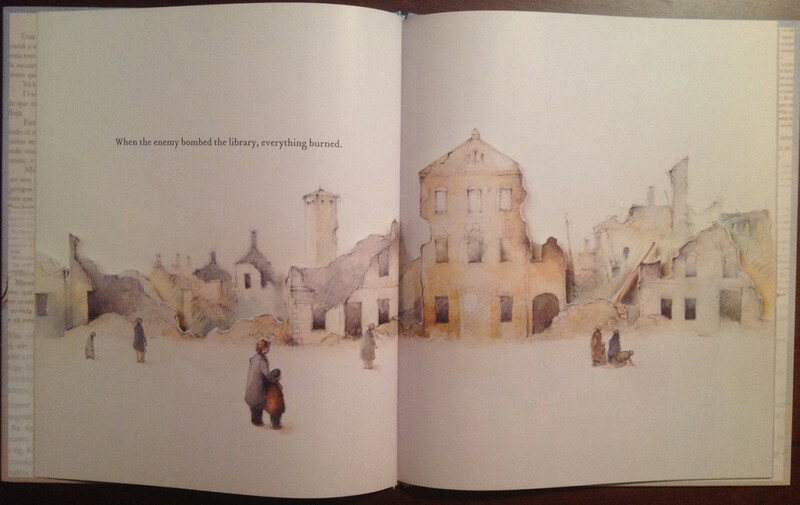 The story begins, “When the enemy bombed the library, everything burned.” Next page: “Charred paper, frail as butterflies, fluttered in the wind. People caught the words and cupped them in their hands.” The only surviving book is one that Peter’s father had checked out of the library — his favorite book because it’s “about our people, about us.” He puts it in a box, and they take it with them as they flee the advancing armies. To say more risks spoiling the experience of those who’ve not read it. So, instead, I’ll simply note that it’s an eloquent defense of why, in the dangerous times in which we live, people need books. 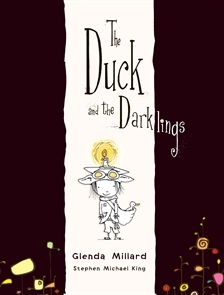 There are many other beautiful books I saw in Geelong and Melbourne,* including one that Erica Hateley showed me: Glenda Millard and Stephen Michael King’s The Duck and the Darklings (2014). Unfortunately, I neglected to pick up a copy of this book. But I did at least want to give it a mention here — both to remind myself to get it, and to call it to your attention. UPDATE, 11 July, 10:20 am: Since several non-Australians have asked, you can buy Australian books via Fishpond.com. I bought a copy of Shaun Tan’s The Rules of Summer from Fishpond in November 2013, months before its US release. * I was there last week for two conferences: ACLAR and Literature and Affect.